I am DYING to get my hands on this book. I need to know how it's going to end. I need to know WHO Juliette is going to choose. I have yet to start the series! I know, I know I should get to it like right now but I will. Very soon. So can't wait for this too. A great WoW pick :) I am dying to read this one as well & how stunning is that cover!! I'm dying to know who she ends up with too. I love that cover too. It's my favorite out of all the 3. Great pick. I really need to get up to date with this series. YES-YES-YES! A thousand times YES! And a truly awesome cover. Great pick! 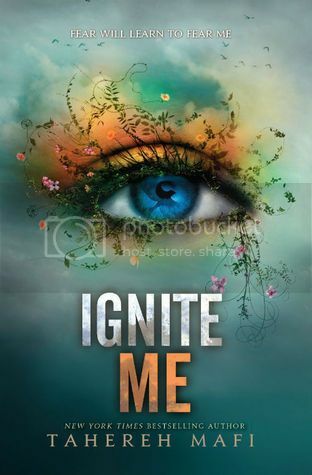 I've read Shatter Me though I have yet to read Unravel Me. I still haven't read the second book but I've heard so many intriguing things about Warner's path that I'm hoping to read book 2 and 3 back to back. I'm dying for it too! Why is it February so far in th year? There could have been a year with one month!